water sensor, and remote alerts. When you're away from your home, anything can happen—pipes can burst, appliances can leak, and temperatures can bounce from one extreme to the other. Vivint Smart Home disaster detection with the Vivint Flood/Freeze Sensor provides peace of mind by catching potential hazards before they escalate. With a temperature gauge, water sensor (designed to detect water levels), and sophisticated mobile alerts, you have the power to assess possible issues and take appropriate action remotely even when you're miles from home. Help prevent flood damage with a water-detecting flood sensor. When as little as ¼ inch of water covers the device's 470PB probe you'll get a warning, so you can shut off the water and minimize damage to your home. Keep your pipes from freezing or your pet from getting too warm with immediate notifications when the temperature falls below (or rises above) your specified range. Get flood and freeze warnings on your mobile device the moment a leak occurs or temperatures fluctuate. Your Home Disaster Detector fully integrates with SkyControl™ and Nest® for more complete home automation. How Does the Vivint Home Disaster Detector Work? 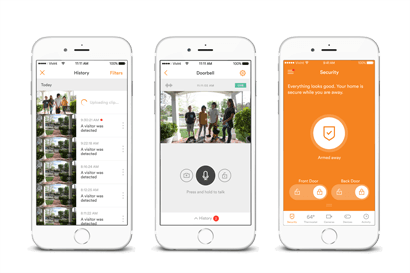 Get a Vivint Home Disaster Detector and build a powerful defense against the elements. 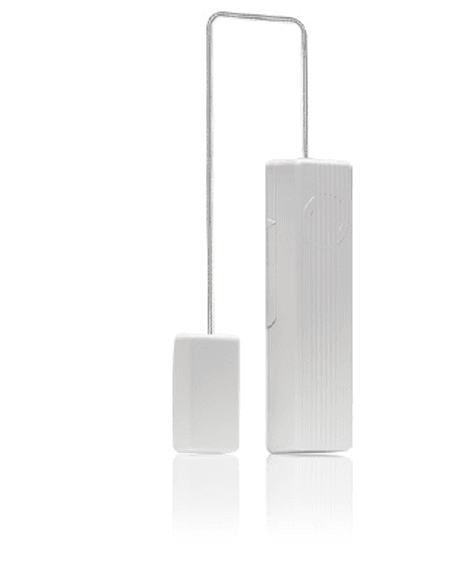 Wireless and versatile, this device is capable of functioning as a temperature sensor and leak detector—simultaneously. That way, you'll be alerted to a wide variety of potential threats whether you're at home or away. Your Vivint Home Disaster Detector works best near refrigerators or washing machines (in basements, bathrooms, or garages) and makes use of external sensing probes, which can help you monitor your appliances and detect signs of flooding. Your Vivint Flood/Freeze Sensor can operate between 0 and 120 degrees Fahrenheit, detecting water levels and temperature changes to help protect against overheating (above 100° F), freezing (under 40° F), and flooding (¼ inch of liquid). Place in high-risk areas such as your bathroom, laundry room, garage, or basement for optimal protection against flood damage. Available to add for advanced help in monitoring your home's refrigerator and freezer. Minimize installation time and place almost anywhere in your home. Each Home Disaster Detector comes equipped with one 3V battery, which can last up to a decade. This reduces routine maintenance and additional costs. Tamper alerts help protect your system from external damage by alerting you to device disturbances. Get one step closer to complete home automation with Vivint Home Disaster Detection. Control your Flood/Freeze Sensor, along with the rest of your Vivint home automation devices, including Amazon Echo's "Alexa" and the Nest® thermostat, from your Vivint SkyControl™ panel or Vivint Sky app.